"Each outfit is categorised and accompanied by a tiny swatch of material. 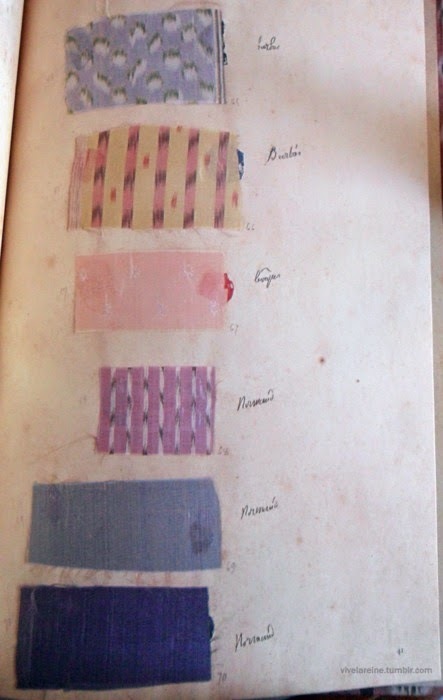 There are samples for the court dresses in various shades of pink, in shadowy grey-striped tissue and in the self-striped turquoise velvet intended for Easter. 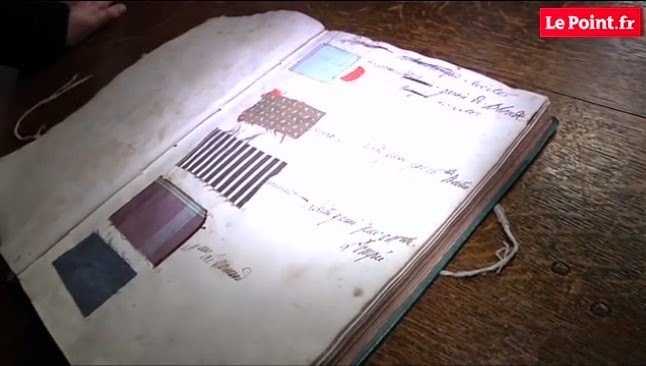 A second Wardrobe Book from the Archives Nationales, belonging to Madame Élisabeth, was on display last year in an exhibition held in the the Domaine de Montreuil, Madame Élisabeth's residence in Versailles. 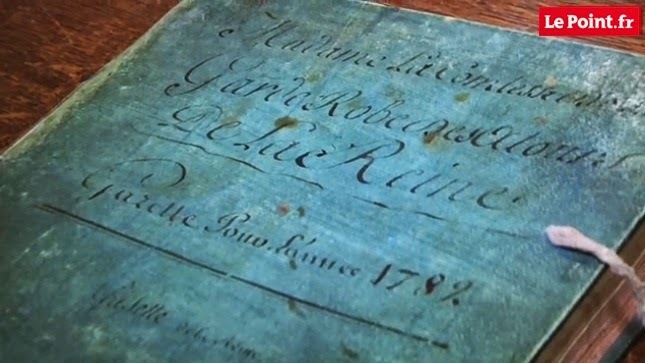 This book dates from 1792, the last year that Mme Elisabeth spent at the Tuileries palace before the royal family's final imprisonment in the Temple. 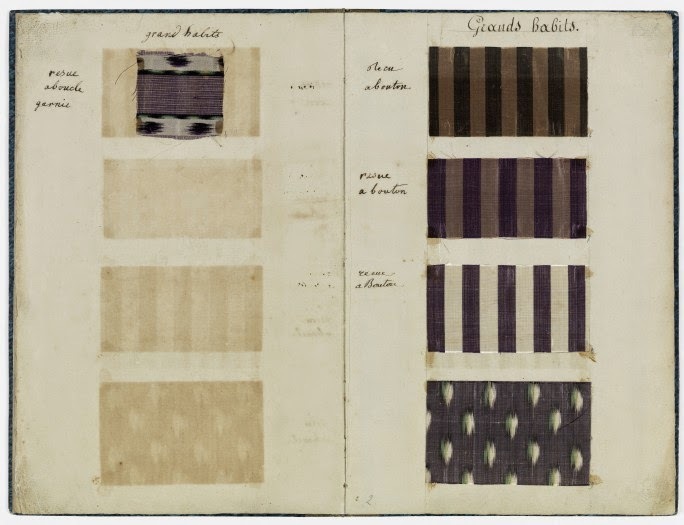 The samples shows relatively simple patterns in light silks and cotton fabrics, with an absence of brocaded silks. The book is tidier than Marie-Antoinette's and this time there are definitely no pinpricks.